Apparently, people like my trivia hosting. In addition to our super fun monthly TV trivia night at the Gladstone Hotel, I am now embarking on a new East End adventure and I’m so excited about it! It will be EVERY Monday at the super hot WAYLA Bar at Queen East & Carlaw. Can’t wait to see East End friends regularly & meet lots of new trivia lovers. I will also get to adventure beyond my tv knowledge and do ALL NINETIES! A bonus is that the genius fabulous David Hawe has made some promo pics for me. It launches Monday Oct 14th. More details here. This entry was posted on Wednesday, October 2nd, 2013 at 12:22 pm. 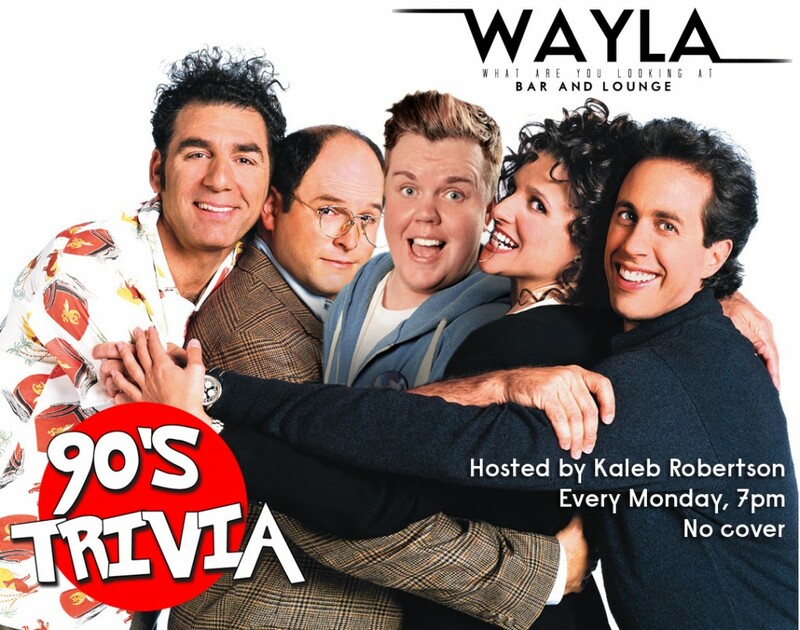 It is filed under Projects, Recent Blog Posts and tagged with 90s, east end, nineties, seinfeld, toronto, trivia, wayla, wayla bar. You can follow any responses to this entry through the RSS 2.0 feed.